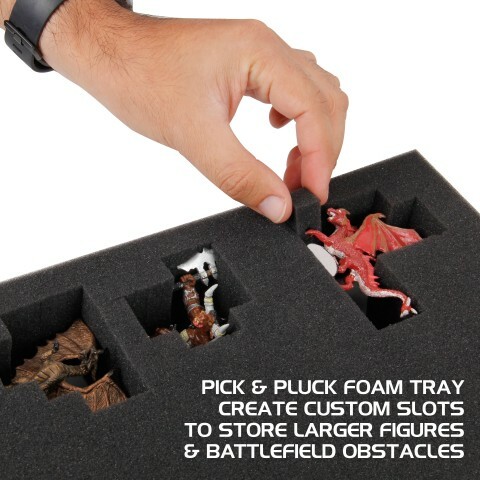 Protect, store, and organize your collection of war game miniature figures in the ENHANCE mini figure travel case. 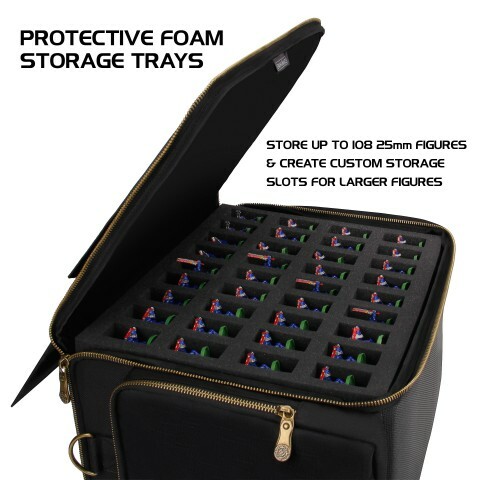 Designed to store up to 108 infantry units (up to 28mm) and a number of larger figures, you can bring your army to your next gaming event with ease. 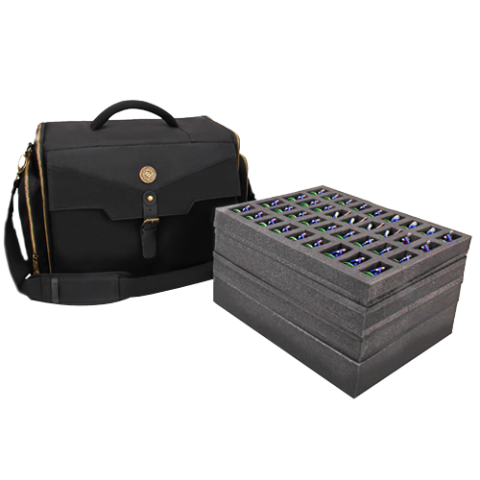 We've designed the bag to be a carry all for your armies and all the gaming accessories you'll need to play and set up a session. 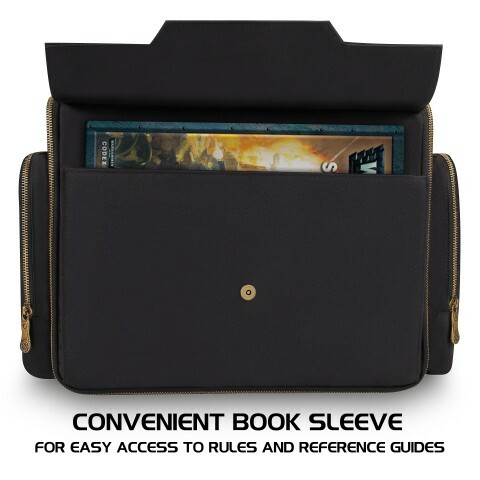 A handy book sleeve on the front can be used to store notepads, rulebooks, references, and other guides for army set up and rules. 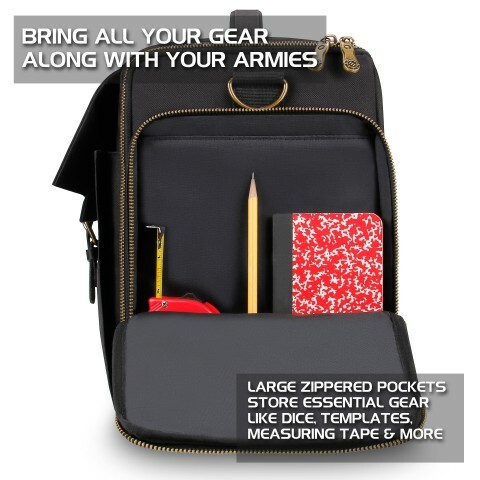 Two large zippered pockets easily store measuring tape rulers, dice, notepads, pencils and pens, explosion templates and many other accessories. 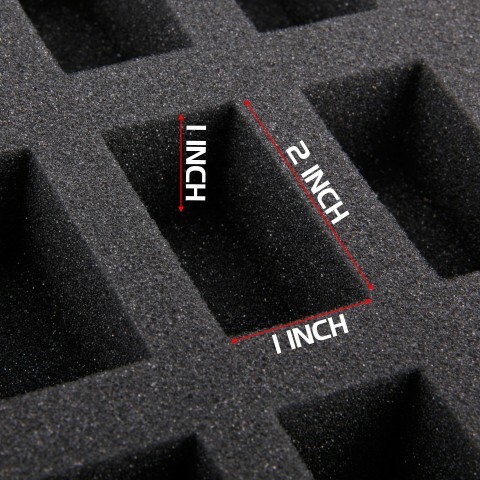 The bag is reinforced with thick padded walls that protect your miniatures from drops, impacts, scratches and from the elements. 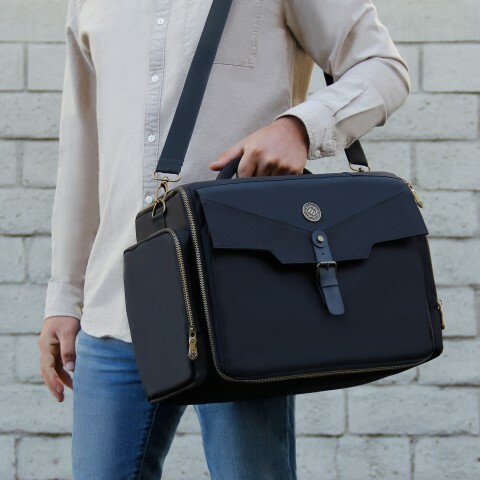 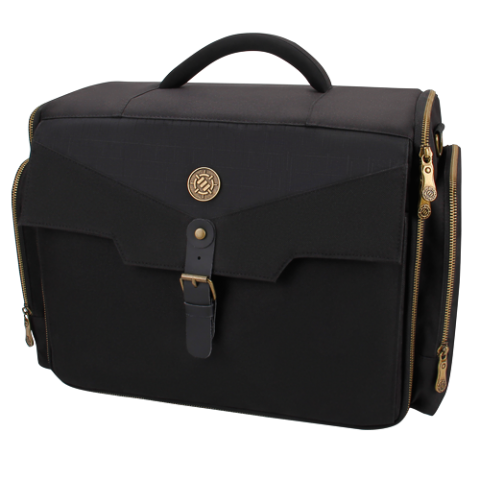 The exterior is a high quality nylon fabric with a rugged texture that looks professional with the brass metal hardware and zippers. 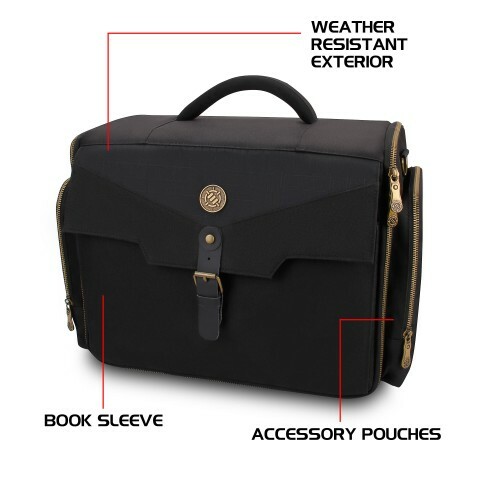 The base of the bag is lined with a water resistant material that prevents moisture from seeping into your bag when placed on damp or wet surfaces.